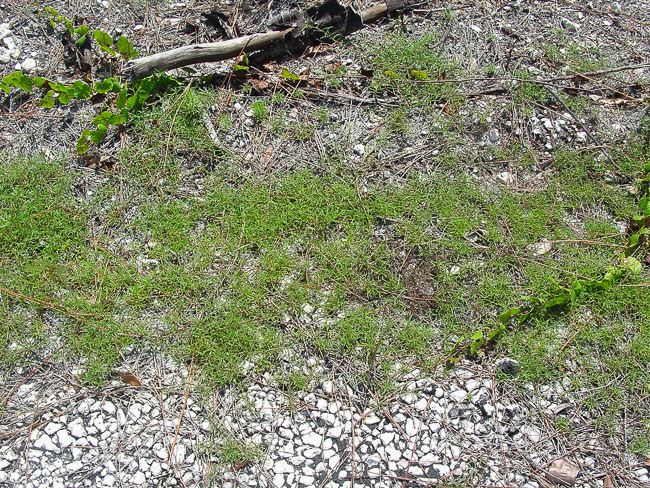 Florida status: This and other Zoysia species (see above) used as turf grasses. 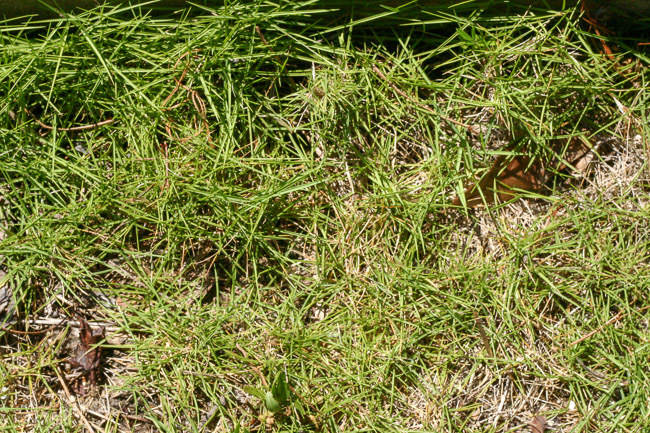 Zoysia matrella and its hybrids and cultivars used especially in South Florida, and sometimes escaped from cultivation. Recognition: The entire grass to 10 cm tall. 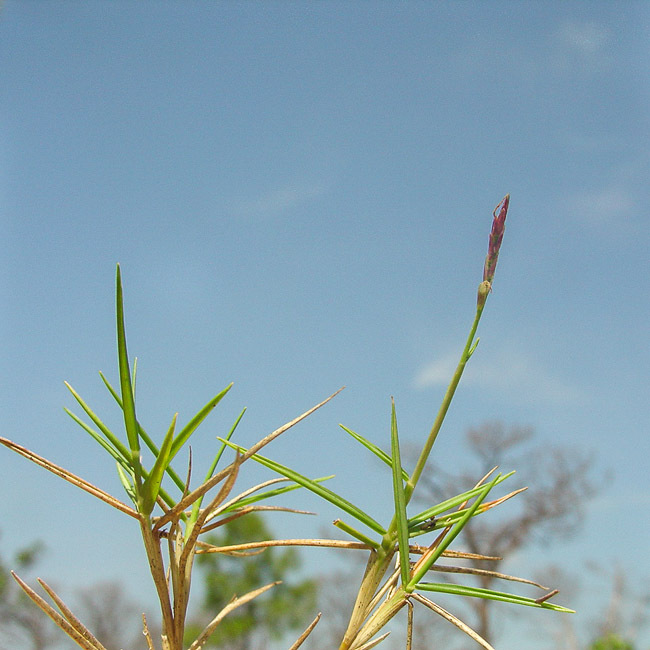 Narrow-bladed turf species with stiff needlelike leaf blades borne almost horizontally. 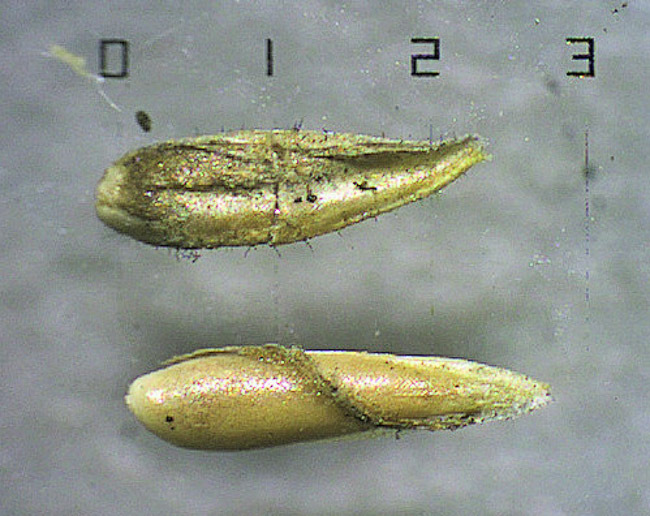 Spikelet 1, vertical like the flame on a torch, 2.1-3.2 mm long.